Although these are scenarios that are less than ideal, they are actually golden moments of opportunity for support teams. How so? Well, these scenarios are when the customer's experience with a brand is really going to be shaped. The “fix” itself might not be easy, but there is an opportunity to give your customer an unexpected delight when they find themselves dealing with people that care about their problem. The more positive customer experiences people have with your support team, the more they are starting to trust your company. Through that trust, brand loyalty is built. Because of this, your support team is arguably one of the most important teams that your organization is hiring for. So, we’ve put together a list of the 3 Most Important Things to Keep in Mind When Hiring for Support Teams. This seems obvious, but as we all know, common sense is not so common. The most important thing that a support rep needs is a good sense of how to solve a problem. Being able to take a step back and apply their knowledge of your product in order to overcome obstacles is key. Imagine you are the customer, and the person that you are talking to is just running through a checklist of potential issues. They are doing this without actually listening to what the core of the issue is. As the cusotmer, you’re going to be able to tell, and you’re going to get frustrated. A support rep with good problem solving skills will be able to dig in and get to the true root of the problem that the customer is experiencing. As a result, your customer is going to feel heard, taken care of, valued, and will leave the interaction satisfied with their service. This is what turns a customer into a loyal customer. In order to solve the problems that your customers are having, your customer support team is going to need to connect with the customer. It’s like the way doctors need to have good bedside manner, or else their patients are never going to tell them what’s actually going on, and they're never going to be able to treat them. A good customer support rep has high EQ. What does that mean? According to Psychology Today, emotional intelligence “Refers to the ability to identify and manage one’s own emotions, as well as the emotions of others.”. Hiring for high EQ in support is crucial for your team to deliver the support your customers are expecting. Here is a list from Forbes on 5 Signs of High Emotional Intelligence to reference when you consider traits to hire for on your support team. A big question is, how do you ensure your customers are set up to have this experience? The answer is to augment your support teams with automation and AI. Know when not to hire more people, and implement an automation solution instead. People hear about robots taking over and many times think “It’s going to take my job”. But, that’s actually the opposite. The goal is for these technologies to free up your time so that you can get back to what you actually do best. If you can give all of the tribal knowledge of your support team to each team member, you’ve just supercharged each support interaction. By doing this, you've reduced call time and ticket escalations. This frees up your support team's time that is spent on monotonous tasks. Now, they have time to work on the more complex issues that you hired them to handle. If you use these 3 tips when building your support team, you will not fail. There are endless options, and customer support scenarios are where great brands differentiate themselves. 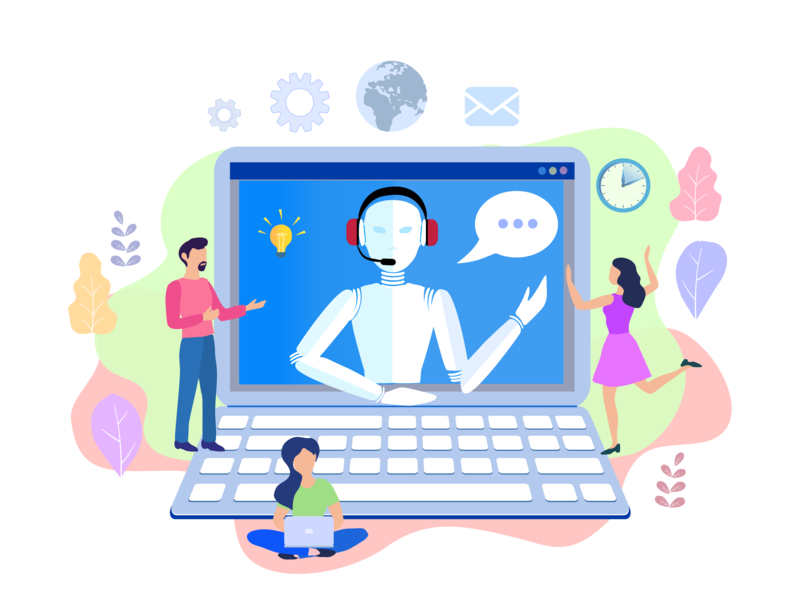 If you would like to get a demo of Talla to learn more about how you can save support costs with automated responses, actions, and increased rep productivity, let us know!